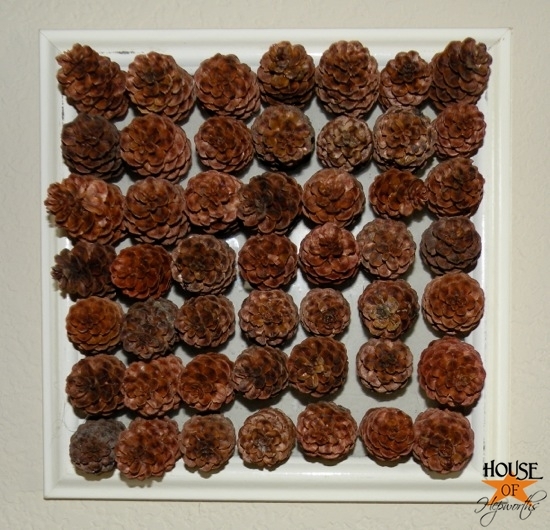 I finally get to use my pinecones I’ve been saving since March! 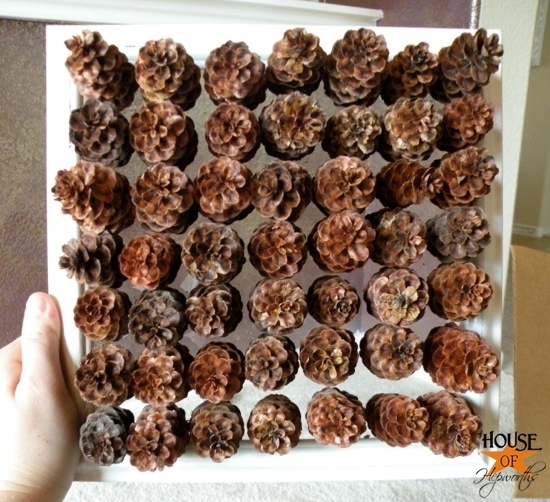 For this project I used the mini pinecones, not the jumbo ones, but don’t worry! 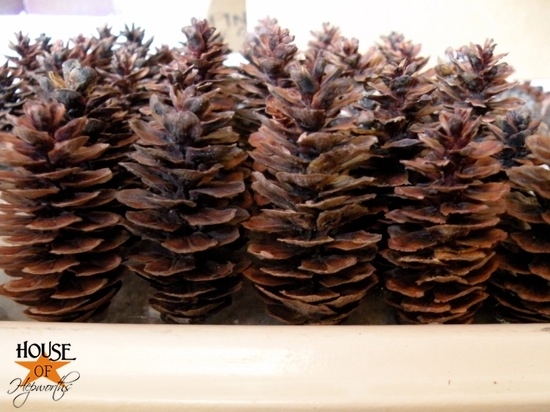 I’ve got some jumbo pinecone crafts in the works! Yippie! First, I found a frame in my stash of extra stuff I’m not using. 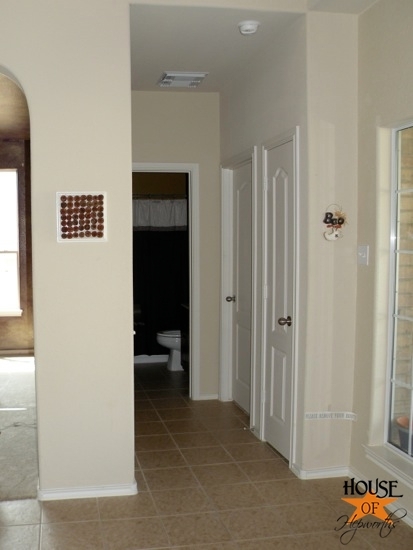 I love that this one is square. 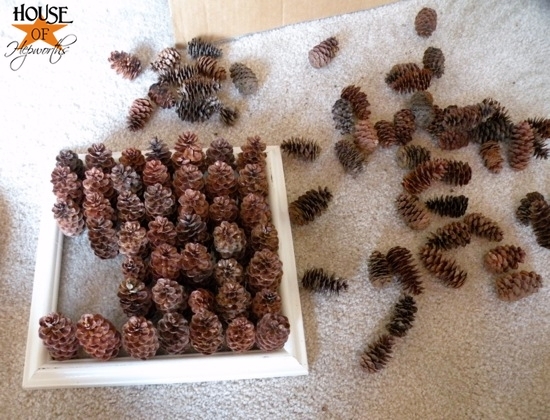 Next I grabbed all my mini pinecones. 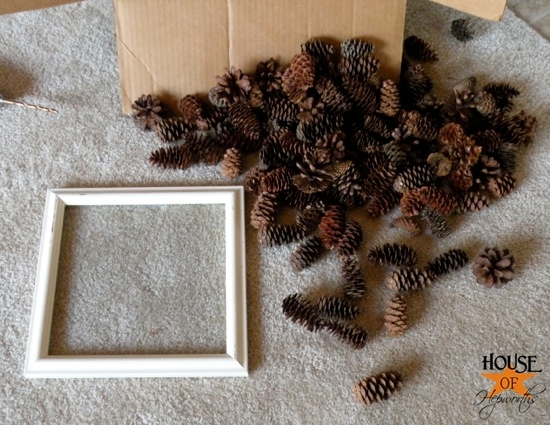 I patiently sat there and hot glued each pinecone directly onto the glass of the frame. It was actually really easy and took me about 10 or 15 minutes. I love that you can see through the frame. And here’s the back of the frame. You can see all the hot glue! And then I stared at it for like a month. There was just *something* about this artwork that I didn’t like. Then it finally hit me. It’s too plain and boring. So I added an ornament from the Dollar Store. I already like it about 1000 times better. 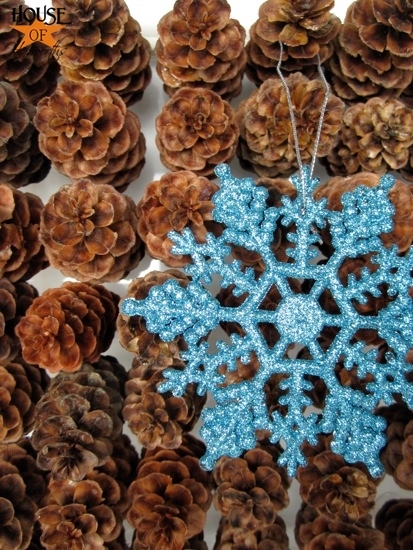 But I still wanted more color, so I added this ornament from Target (it was in a 4 pack for $1). 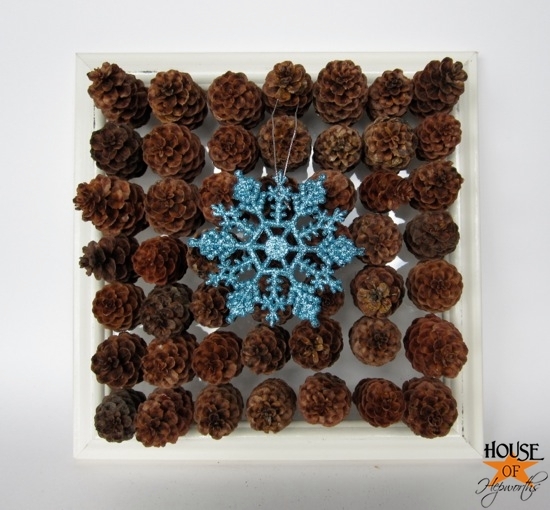 Have you made any pinecone crafts this year? Tell me about it in my comments section! 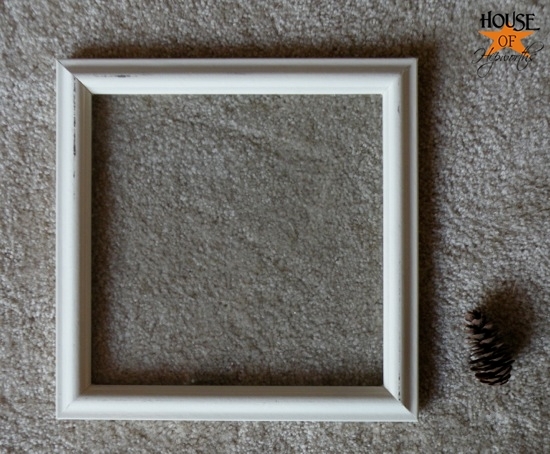 What a cute way to use a frame! This turned out awesome. Kudos. 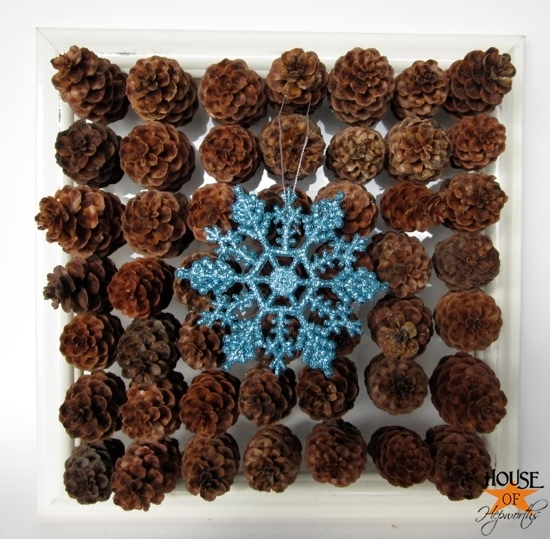 I love the addition of the ornament – I made a pinecone wreath this fall and might just go add an ornament to get it through the winter! No I haven’t…sadly! 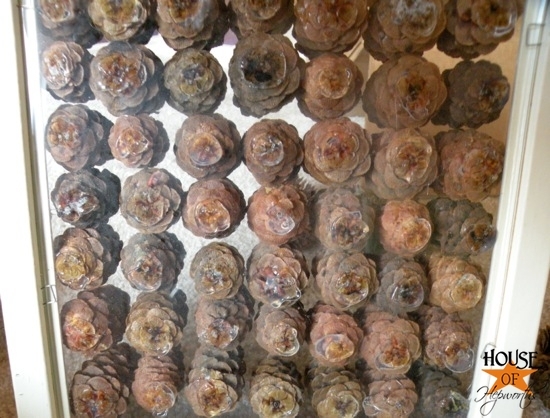 Haven’t collected them this year. 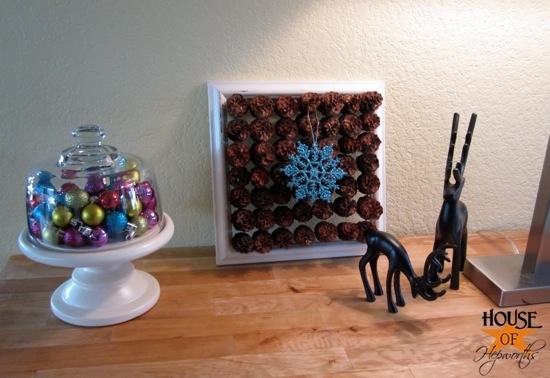 Your project turned out beautifully. 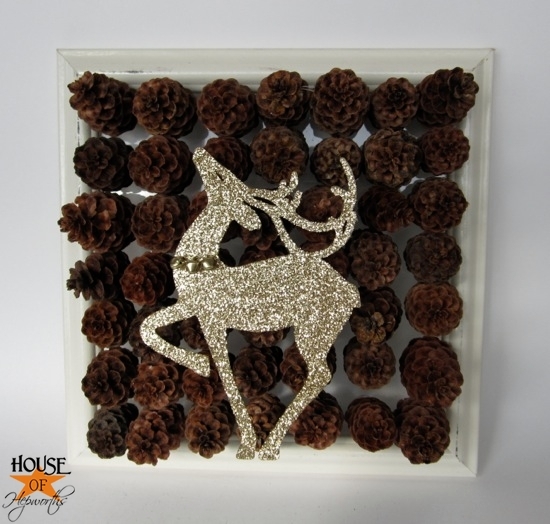 I think I like the reindeer better though.